This paper model is easy to assemble, requiring just cardstock sheets to print on (110# or 199gsm cardstock recommended), scissors, hobby knife and ordinary glue. Included are tips and advice for printing at various popular gaming and model railroad scales. One of the great things about papercraft models is that they can be printed at any popular gaming scale quite easily, so this model can be used for 28mm, 25mm, 20mm, 15mm scale and smaller. These graphics are high-quality 300dpi resolution, so they'll look sharp at any size. 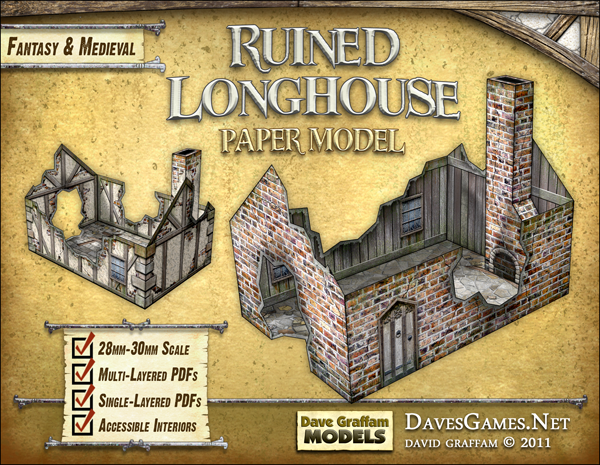 The Ruined Longhouse features multiple texture layers, putting you in control over the final look of your model before you print. It's one kit, but many models! 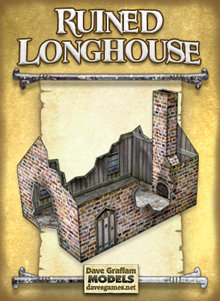 It's no exaggeration to say that you could create more than 100 different ruined longhouses and no two would look exactly the same. 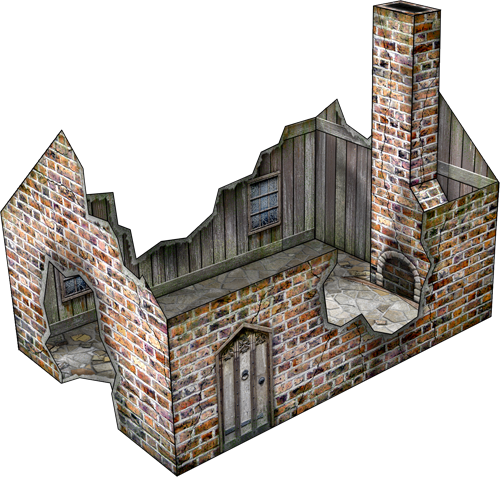 Print several versions of this model and scatter them around your gaming table to create your war-torn landscape or burned-down section of town. For your printing convenience, this model includes 3 prepared versions that are easy to print right away. You get a Stone Ruined Longhouse, Brick Ruined Longhouse and Tudor Ruined Longhouse. 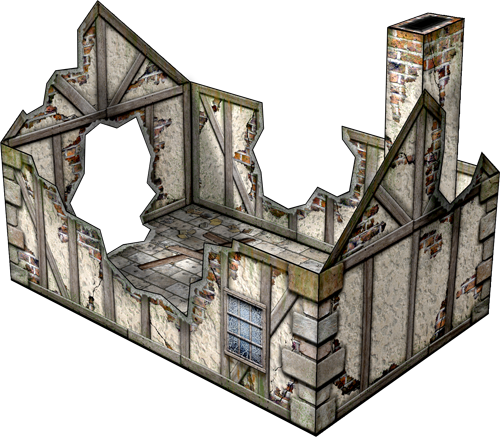 This model has fully-textured interiors and is perfect for tabletop games of all kinds. This model's footprint is 4" x 6", and it stands 4" high, not including the chimney.